Do you feel constantly stressed? Under pressure from all the demands of home and work with little time for yourself? Or do you just feel ‘lost’ and generally disconnected from yourself and from life in general? All of these feelings are pretty common these days as people's lives have become increasingly busy. Consequently finding time for yourself during your busy week becomes even more important and Yoga really can help. Hi! My name is Wendy and I would love to share my passion for yoga with you. My yoga journey started 10 years ago. I had returned to my job as Head of Department in a large secondary school after having my son. Although my hours were part time, I was essentially trying to balance two full time jobs - leading a Department and being a full time mum. Life was hectic and I longed to escape and have some time to myself….. and then I discovered a local Chi Kri Yoga class run by Neil Patel and found the time and space that I had been craving. I have always had an interest in yoga and had tried 2 or 3 different classes over the years, but it always seemed like just another way to bend and stretch the body. 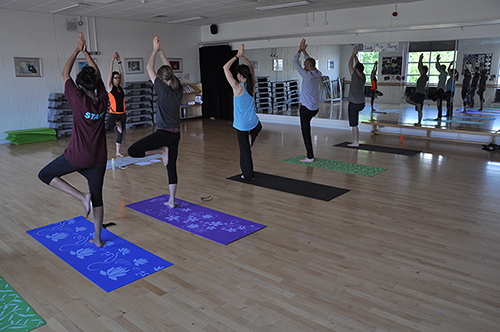 Chi Kri Yoga offered so much more than just physical exercise and included philosophy, inspirational readings, focusing of the mind and connection with your inner self through pranayama and meditation. After attending only a few classes I felt more grounded, a sense of calm and peace and a reconnection with myself and the world around me. Chi Kri has continued to be a large part of my life ever since, and for the past 10 years I have attended regular classes, workshops and retreats and now cannot imagine life without it. Two years ago I made the decision to train to become a Chi Kri Yoga teacher. It was an easy decision for me as I love yoga and I love teaching and this is something I feel so passionate about that I wanted to share and help others. I hope you will join me to discover for yourself all that Chi Kri has to offer. Working as a teacher and Head of Department for many years I know all about the stresses and pressures of trying to maintain a healthy work life balance. I also come with many years of teaching experience and have a way of reaching out to those that need extra support. 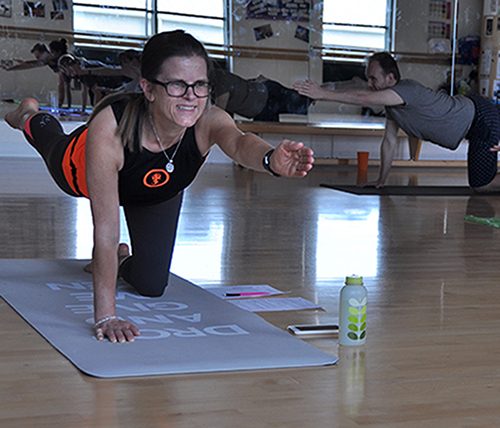 "Thank you so much for yoga yesterday, I felt like a different person afterwards. It was so helpful." As well as building your physical strength, I will show you how Chi Kri Yoga can help to build your mental strength to help develop your confidence, determination and patience. I will share with you techniques to overcome stress through meditation and relaxation, which can help you to withdraw from your busy lives for a short time to find an inner peace; this will leave you with a sense of calm and stillness at the end of a class. 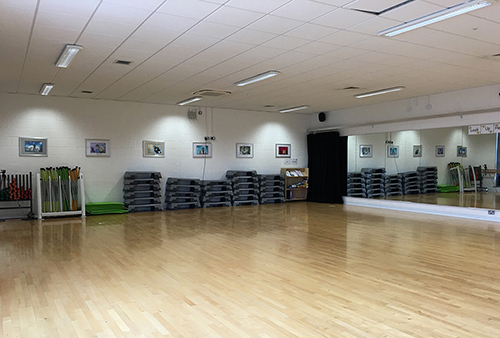 My new public class will start in September on Saturday mornings at Rickmansworth School in a lovely bright dance studio - The perfect way to start your weekend. The location is particularly convenient for those living in Croxley and Rickmansworth but also easily accessible for those living in Chorleywood, other neighbouring villages and Watford. Parking is available onsite. 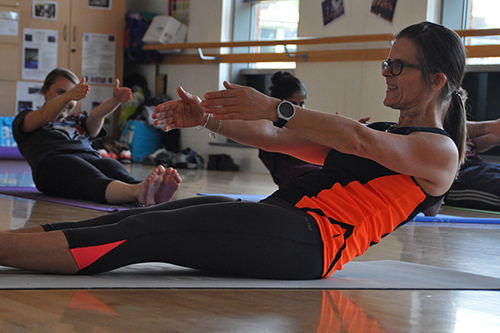 The class is aimed at beginners but is also suitable for intermediate, so whether you are a complete yoga novice, have tried yoga before but not really connected with it or have some previous experience, why not come along and try a class to see what Chi Kri Yoga has to offer. If anyone is interested in setting up private classes or one to one sessions, please get in touch. The best way to contact me is via email. I'd really love to hear from you. And finally please read what some of my students have to say about my classes and me. "Thank you so much for the mediation session. I feel so much calmer." "Thank you - I slept so well last night after your yoga class"